Hey Everyone! 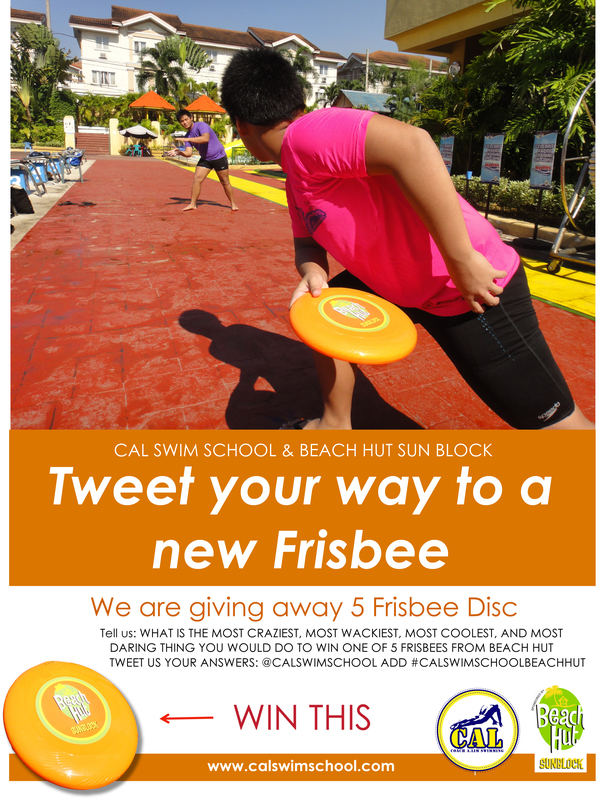 Starting today we are accepting entries for our “TWEET YOUR WAY TO A NEW FRISBEE” Contest. Tell us: What is the most craziest, most wackiest, most coolest, and most daring thing you would do to win 1 of 5 Frisbee Disc from Beach Hut Sunblock? Tweet your answers to: @calswimschool and don’t forget to add #CALSWIMSCHOOLBEACHHUT on your tweet. Contest is open to anyone. Promo period is from April 18th, 2012 – April 30th 2012. Tweet as many answers as you like. Most of all, ENJOY TWEETING!